The Institute for Historical Review is an independent educational research and publishing center that works to promote peace, understanding and justice through greater public awareness of the past, and especially socially-politically relevant aspects of twentieth-century history. We strive in particular to increase understanding of the causes, nature and consequences of war and conflict. We vigorously defend freedom of speech and freedom of historical inquiry. Through books, booklets, leaflets, audio and video discs, broadcast interviews, meetings, conferences, mailings, websites and e-mail, we work to provide factual information and sound perspective on US foreign policy, World War Two, the Israel-Palestine conflict, Middle East history, the Jewish-Zionist role in cultural and political life, the "Holocaust" remembrance campaign, war propaganda, and much more. The Institute's director is Mark Weber, a historian, lecturer, current affairs analyst and author. Born and raised in Portland, Oregon, he was educated in the US and Europe. He holds a Master's degree in modern European history from Indiana University. The IHR continues the tradition of historical revisionism pioneered by distinguished historians such as Harry Elmer Barnes, A.J.P. Taylor, Charles Tansill, Paul Rassinier and William H. Chamberlin. It strives, in the words of Barnes, to "bring history into accord with the facts." Founded in 1978, the IHR is non-partisan, non-ideological, and non-sectarian. Our offices are located in Orange County, southern California. Our work is funded through sales of books, booklets, discs and leaflets, and, more importantly, through donations from men and women across the US and in many other countries. The IHR operates as an entity of "Legion for the Survival of Freedom," a not-for-profit corporation founded in 1952 and controlled by a responsible board of directors. It is recognized by the U.S. Internal Revenue Service as a 501(c)(3) public interest, not-for-profit, tax exempt enterprise. Donations to the IHR are tax-deductible. 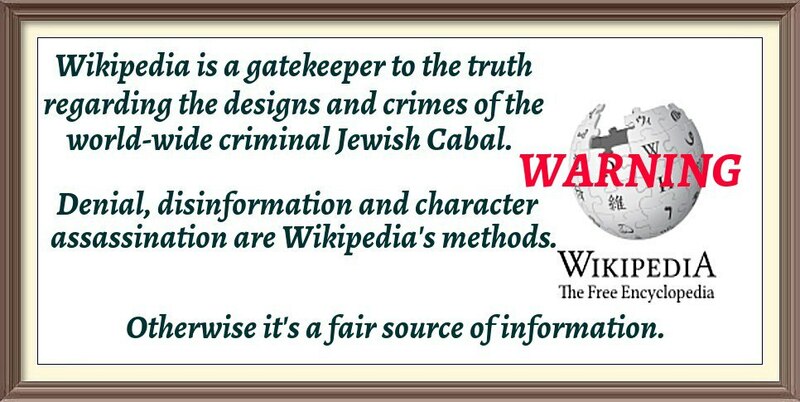 Wikipedia is no friend of The Institute for Historical Research..... of course.